An eighth-floor apartment overlooking the pool area and close to the beach and promenade with splendid views to the sea, the Penon Rock and surrounding mountains. The apartment is 142m away (we have measured it!) from the Levante (or La Fossa) beach. The accommodation (75 sq m) comprises two double bedrooms (one with double bed, en-suite toilet/shower, one with twin beds), separate bathroom (bath, shower, toilet, bidet, etc. ), large lounge/dining room with two sofas (one extensible), fully equipped kitchen (granite worktops, electric oven and grill, microwave, 4-ring gas hob, fridge/freezer, toaster, coffee machine, automatic washing machine, etc. 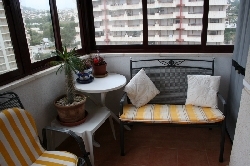 ), 26 sq m terrace, enclosed garage. Private Internet ADSL line, TV, HI-FI, video, DVD, hair drier, etc. also provided. Both bedrooms have built-in double wardrobes (with plenty of hangers) and drawer units. The master bedroom has an en-suite shower, washbasin and toilet and there is also a chest of drawers in this room. There is a separate bathroom with bath, shower, bidet and washbasin. The bathroom is also equipped with a separate vanity unit. Both bedrooms have two bed-side cabinets and bed-side lights. The lounge/diner is large enough to cope with six people and the dining table extends to easily accommodate six persons. There is a HI-FI system (radio/tape/CD), cable TV (CNN, Eurosport, etc. ), DVD, video player, books (mostly in English and French), video tapes and DVDs, including video tapes and DVDs for children. In the living room there is a sofa and an extensible sofa bed for two persons. 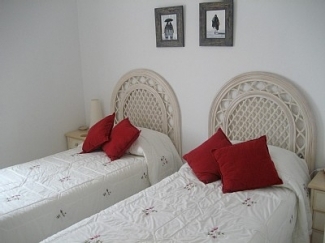 The two bedrooms and the living room are centrally air conditioned (cold + heat), so are comfortable in both winter and summer, and all have also ceiling fans, for the persons who don�t like the air conditioning. The large terrace has a table, six chairs and a sofa to allow al-fresco dining whilst enjoying views to the sea, surrounding mountains and the nearby salt lake with its pink flamingo population. The balcony also overlooks a very large and attractive recreation area complete with three large pools, showers, etc. which are available for the exclusive use of the residents. Access to the two-block complex is via an impressive entrance hall which is manned by a receptionist 24/7. There are two lifts serving the block housing this particular apartment. A secured private garage is included in the price. Electricity, Internet ADSL and gas are provided free. A welcome pack with water, wine, tea, coffee, sugar, milk, bread and butter is provided. The beach is also ISO9001 (quality) and ISO14001 (environment) certified. For your convenience, two sets of keys of the apartment will be provided to you at your arrival. 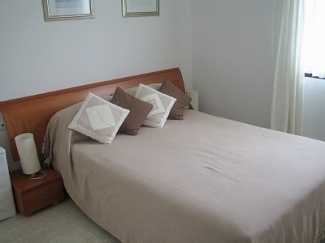 Fresh bed linen and towels will be provided for you at your arrival and every week for stays longer than a week. There is the possibility to arrange at extra cost (10�/h) the cleaning of the apartment during your stay (please check with us the availability of the cleaning lady for your specific dates). Other Activities: Archery, go-karting, 10-pin bowling, bowls (p�tanque), paint ball, paragliding, para sailing, scuba diving, quad/jeep safari, horse riding, boat trip, jet ski, etc. 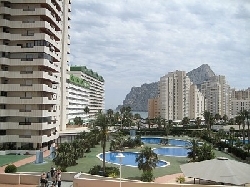 Calpe is on the very popular Costa Blanca, ten miles north of Benidorm but is much quieter than Benidorm. It's shallow, sandy beaches (blue flag) are safe and the calm, warm waters are great for children. Calpe itself has a very good range of excellent shops and supermarkets. Every Saturday it has a street market which winds up through the streets of the old town. The old town itself has many very good bars and restaurants which cater for a wide range of tastes from gourmet to fast foods and take-aways and all at very reasonable prices. The apartment overlooks the 3 pools and recreational areas which serve the block and the main balcony has sun all afternoon and evening (there's also a small balcony off the kitchen which gets the morning sun). Just over the road is the promenade which runs all the way to the marina and port area and on into the centre of Calpe town itself. The promenade, which is a pedestrian area, also has many good quality bars and restaurants opened all year round. Valencia (Spain) F1 Grand Prix: The apartment is located 120km away from the Valencia F1 circuit where the European Grand Prix will take place from the 21st to the 23rd August 2009 (provisional calendar). Languages spoken: We can quickly reply, by email, fax or phone, in English, French and Spanish (Castellano). We can reply, with some delays, to emails and faxes written in German, Dutch, Portuguese and Italian. We will do out better to reply to all other languages. The availability chart is updated very often and reflects the real status of the bookings. - 7 Days normal minimum rental. Shorter periods may be negotiated (for periods less than a week a cleaning fee of 35� is required). - Occupation runs from 15.00 hrs one day until 10.00 hrs the same day of the following week. - 5% discount on total bill for rental of 2 weeks or more. - 10% discount on total bill for rental of 4 weeks or more. - 15% discount on total bill for rental of 8 weeks or more. - Longer term rental rates and discounts may be negotiated. - Gas, Internet ADSL, electricity, water, initial and final cleaning are included in the rental rates. - Deposit of 25% required on confirmation of booking - balance one month before travel. - Security deposits not required (we operate on trust). - If you want to book long time in advance and our prices are not yet displayed, the price for the same period, in the previous year, will apply. 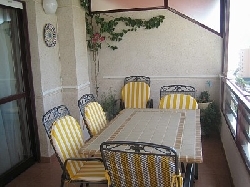 - The use of the outdoor pools is included in the rent. 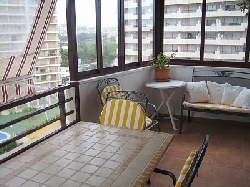 The use of the indoor (heated) pool, located across the street, is between 3� and 5�. Reservations not confirmed are not shown in the availability chart. Please inquire for periods of unknown availability. The normal changeover day is Saturday, however, depending on the period and duration of your stay, the changeover day can be negotiated. Our preferred currencies are EUR, SFR, GBP and USD but we accept other currencies too. A trusted partner could offer you airport transfer to Valencia and Alicante airports (max 3 adults plus luggage). If you are interested, please enquire for the availability and price. The price for the airport transfer has to be paid as the same as the balance. It is fully refunded if cancelled more than 24h before the expected arrival time, 50% refunded if less. Another trusted partner could offer you per request cleaning of the apartment. If you are interested, please enquire for the availability and price, indicating what cleaning services you are looking for (cleaning of the floors, laundry, ironing, etc. � note: every week you will receive clean sheets and towels; this is already included in the rental price) and at what frequency (once a week, twice a week, daily, etc.). 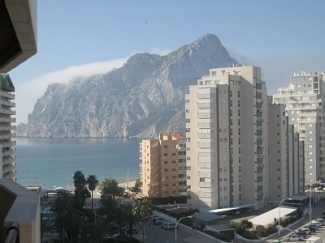 The price for the supplementary cleaning has to be paid directly to the cleaner in Calpe. Price per property, in euro. - Normal occupation runs from 15.00 hrs one day until 10.00 hrs the same day of the following week. - Gas, electricity, water, initial and final cleaning are included in the rental rates. If you book this apartment, you are entitled to a free payment protection guarantee. So for complete peace of mind sign up, register your trip and rent with confidence. Another trusted partner could offer you per request cleaning of the apartment. If you are interested, please enquire for the availability and price, indicating what cleaning services you are looking for (cleaning of the floors, laundry, ironing, etc. � note: every week you will receive clean sheets and towels; this is already included in the rental price) and at what frequency (once a week, twice a week, daily, etc.). 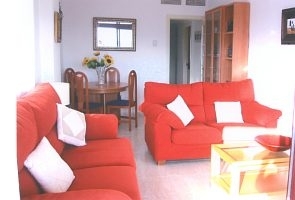 The price for the supplementary cleaning has to be paid directly to the cleaner in Calpe.